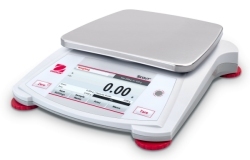 The Ohaus Scout STX2202 touchscreen portable balance has a capacity of 2,200 grams and a readability of 0.01 grams with a pan size of 5.5 x 6.7 inches. Introducing The Scout STX, The First Touchscreen Portable Balance! The next generation of the OHAUS Scout boasts the most user-friendly experience yet, featuring clearly labeled on-screen buttons, settings, and application modes. The Scout STX is designed for fast and simple use in any environment, with guided step-by-step instructions, a touchscreen display that's even responsive with lab gloves on, and an easy-to-clean sealed front panel. 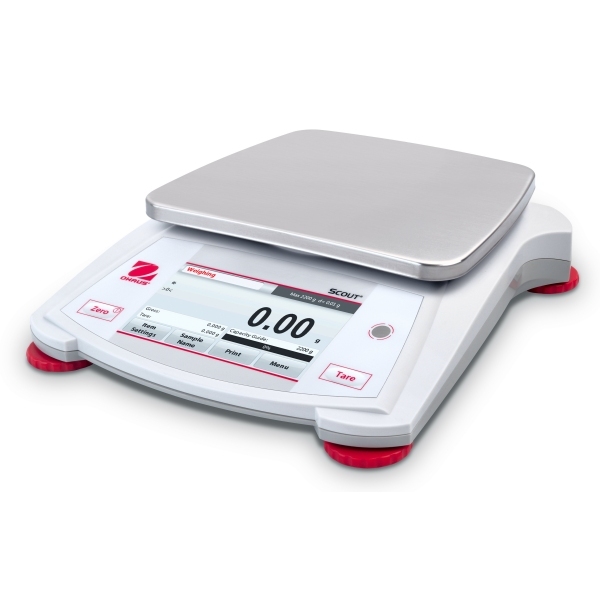 Improve your customers’ work flow, with the intuitive operation of the OHAUS Scout STX.